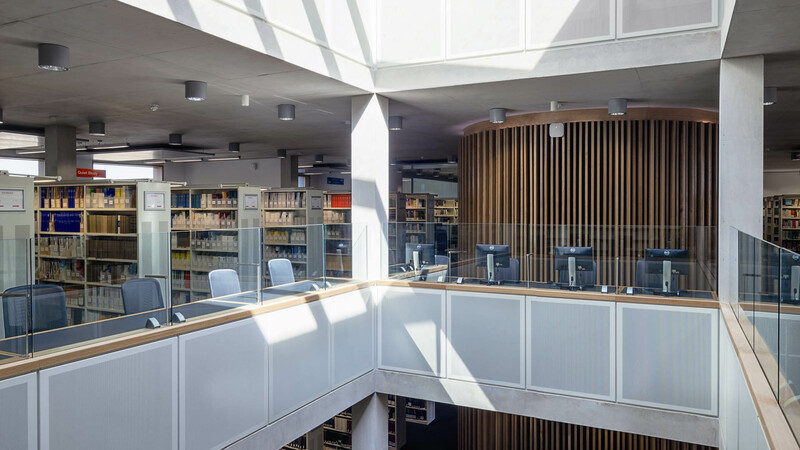 The new library for the University of East London's Stratford Campus provides a wide range of learning environments and social study spaces as well as space for 150,000 books for the Schools of Education, Law, Health, Psychology and Bioscience across three floors. The building is largely open plan with openings between levels and an internal garden linking the different floors. 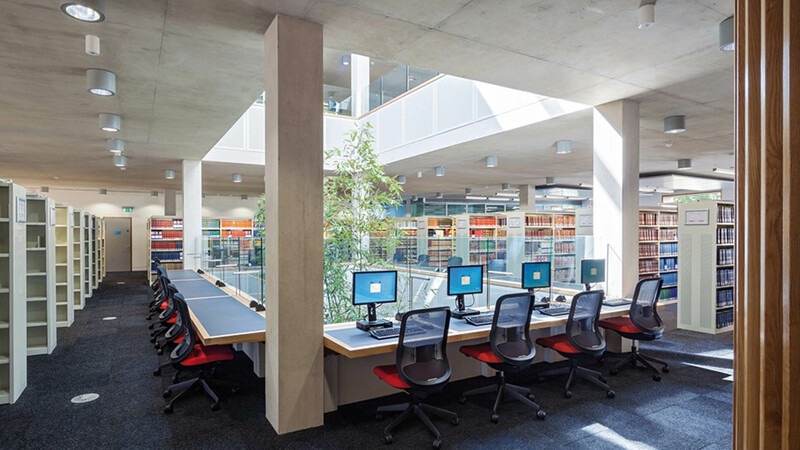 Achieving appropriate acoustic conditions for the range of teaching and study spaces while maintaining the design principle of a spacious and open feel within the building created significant acoustic challenges. 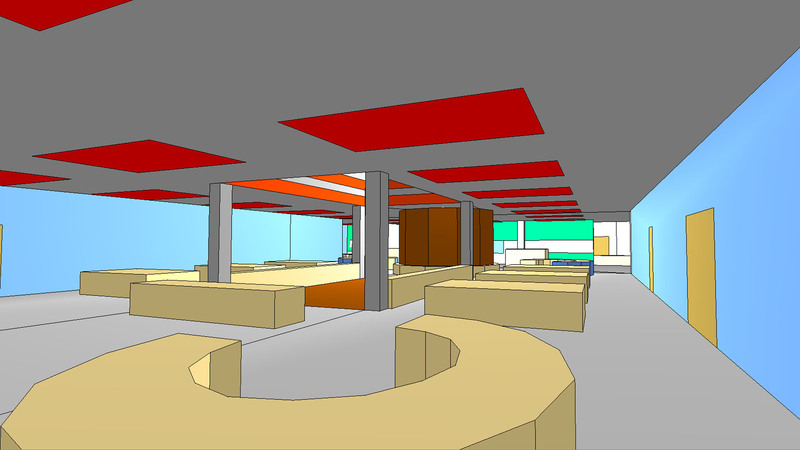 Key to the project’s success was our early involvement with the architects to determine the acoustic strategy and hence the layout of the building. We conducted extensive computer modelling of various options for open plan areas to predict effects on noise transfer between different parts of the building. 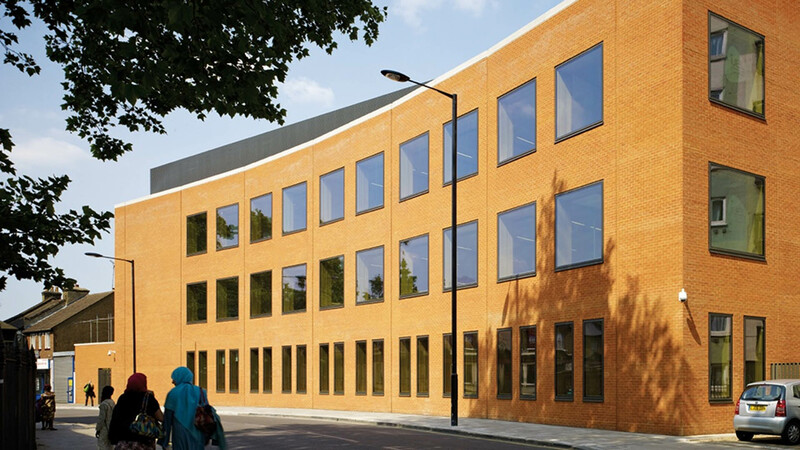 We then worked closely with the design team and main contractor (Volker Fitzpatrick) to integrate the elements of the acoustic design within the wider scheme. 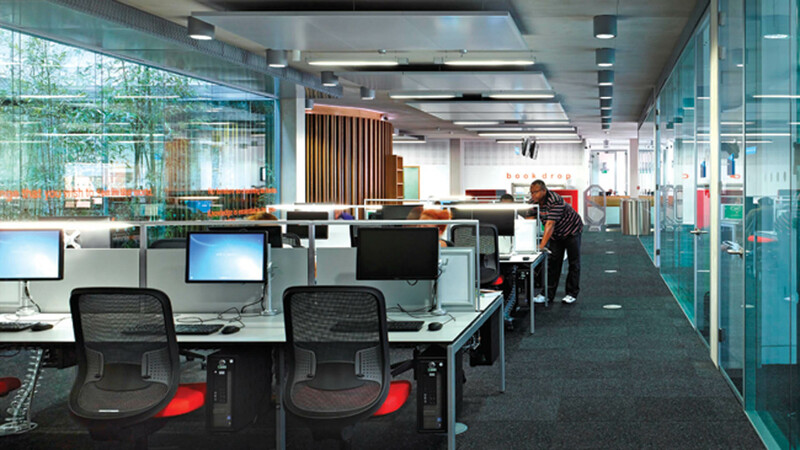 The building includes a number of bespoke acoustic solutions including acoustic absorption built into furniture, fittings and finishes, and special acoustically attenuated bulkhead ventilators to meet sound insulation requirements without the need for conventional in-duct cross talk attenuators. 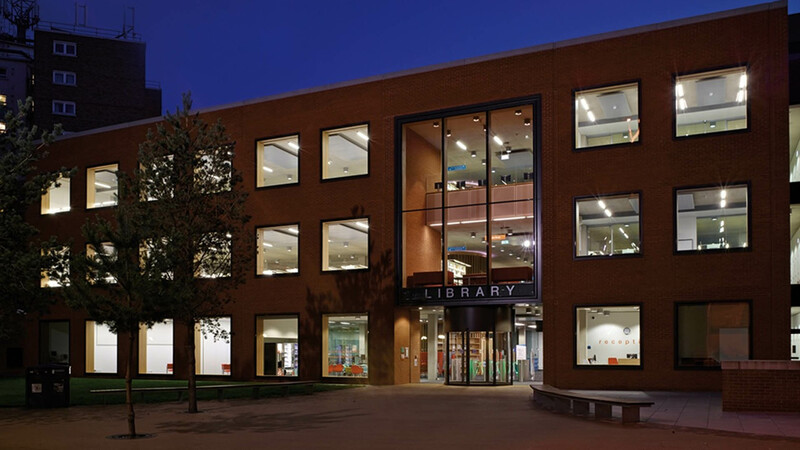 In 2015 the project also won the CIBSE award for the New-build Project of the Year (value up to £10m), having achieved a BREEAM Excellent rating which included all of the available BREEAM credits for acoustics.